InventoryBase enables you to have reports shared automatically with clients and tenants the moment they're completed. All recipients of an InventoryBase report will click a link in their email taking them to an Interactive version of the report in their web browser. Each viewer of the report has the ability to share the report with others, download the report as a PDF, add comments (if enabled) to each line item within each room/section of the report, and sign online. 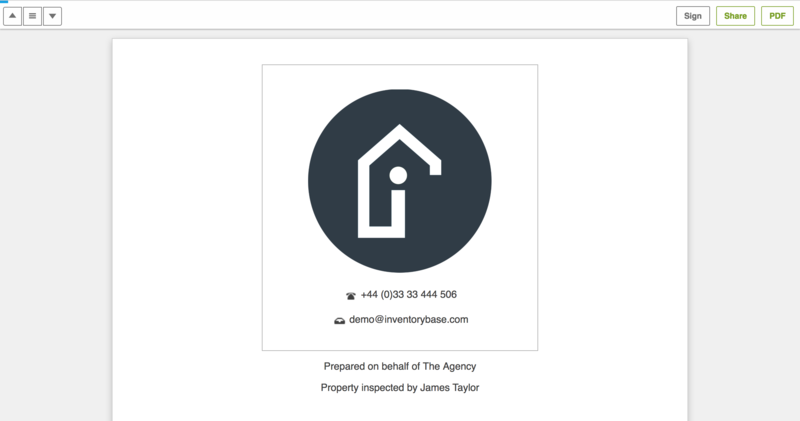 To view a report, login to your InventoryBase Web Dashboard at https://my.inventorybase.com and click on the address under the Inspections tab. Simply click on the View Report button on the upper right to open the interactive web version of the report. Changes Only: This report is only applicable if you're revisiting the copying from a previous report. The Changes Only report will provide a condensed report showing only the items which have been updated since the last report. Actions Only: This report will only summarise the Actions added to items within reports, such as cleaning or maintenance issues. Download PDF: Open up the PDF generation page which will create a download link for the PDF version of the report. Share Report: Open up the Share Dialog which will allow you to select which type of report you're sharing, add recipients and type a covering message. Note: All emails will be sent from InventoryBase with the Reply-To address set to the master account email, so recipients can reply directly to you. 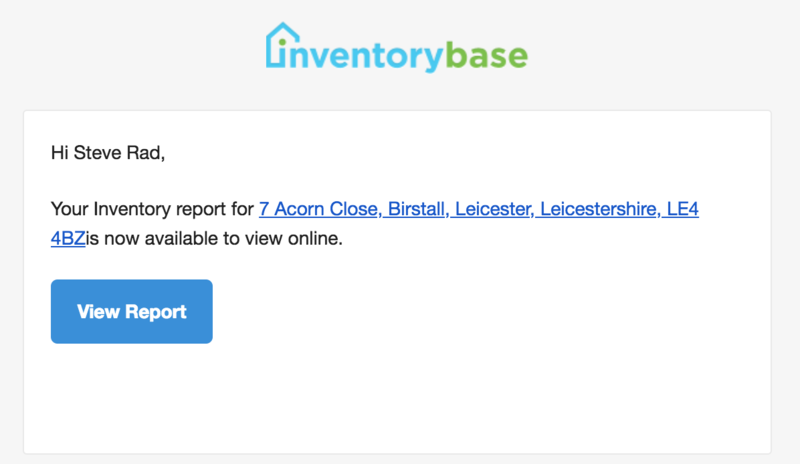 When someone opens an email or clicks on the link to view the report online, InventoryBase will notify you via your live dashboard. To view the full history of all recipients and shares of each report, including a status for the recipient opening the email, click the 'Email History' tab within the Inspection on the website.